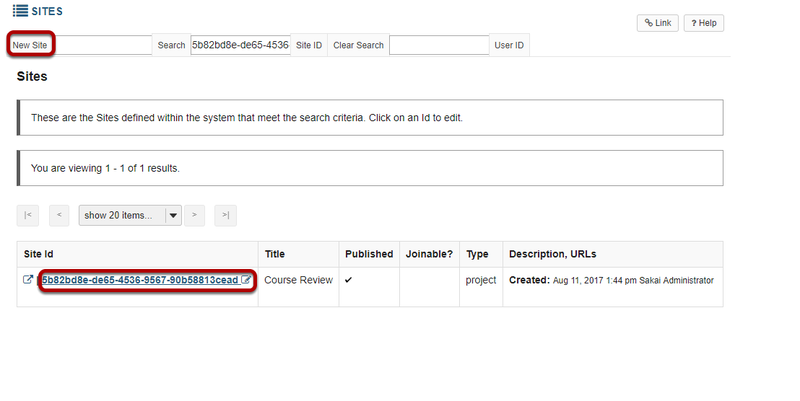 Sakai Community DocumentationSakai 12 Administrator Guide (English) AliasesHow do I add an alias? 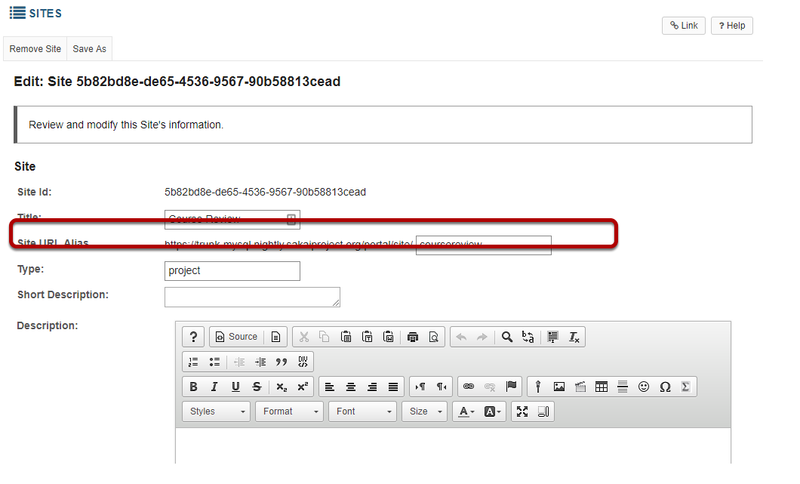 Zoom: Select a site to edit. 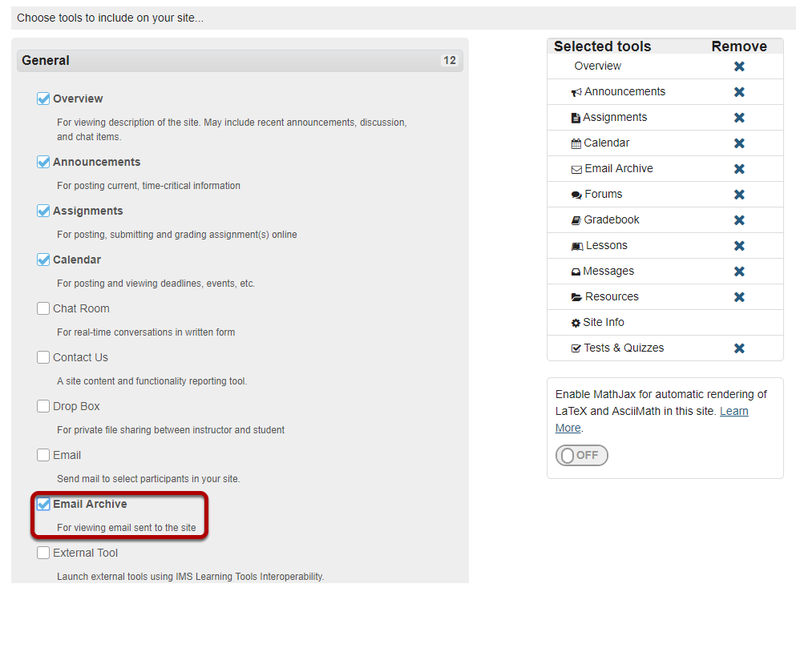 Zoom: Select the Email Archive tool. Zoom: Enter the email alias and click Continue. Next: How do I delete an alias?